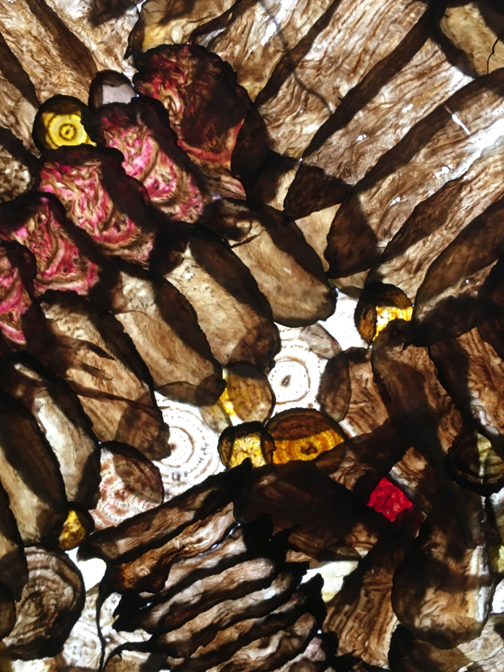 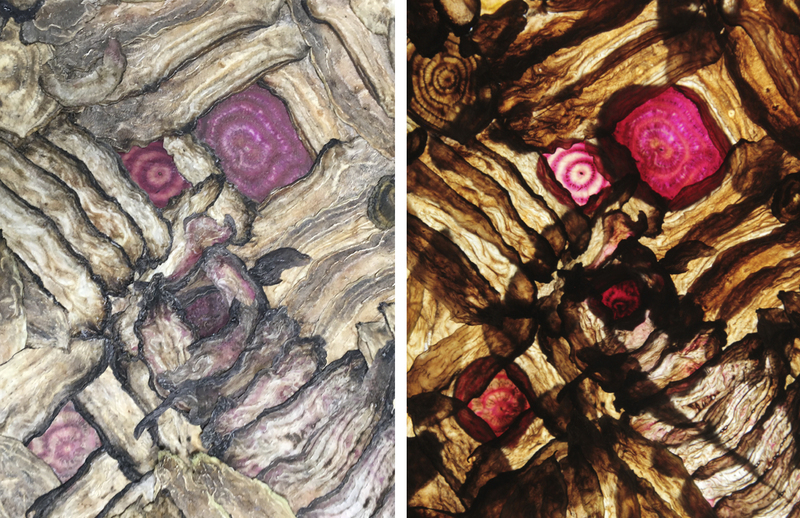 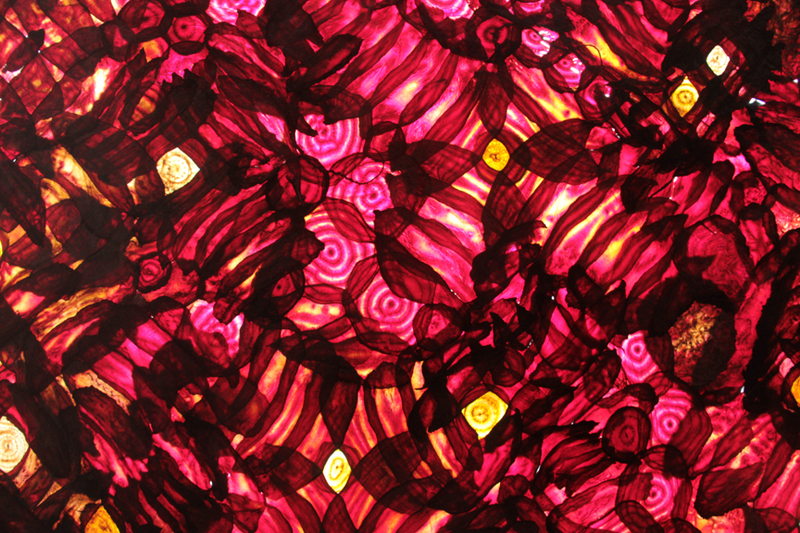 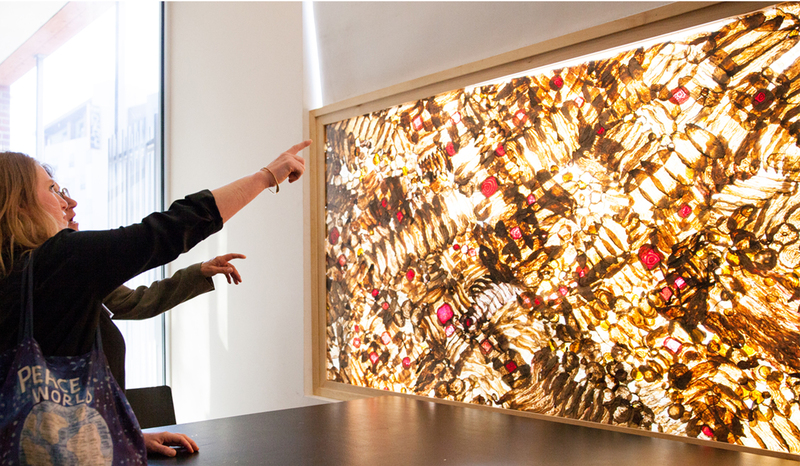 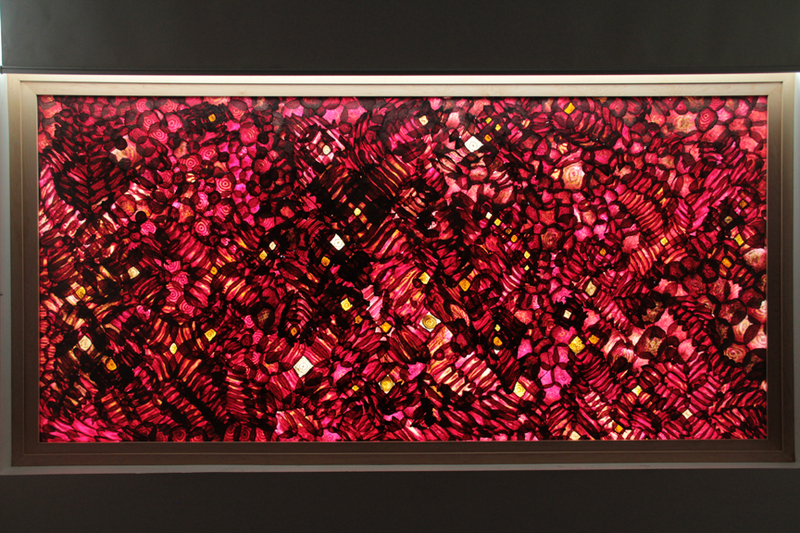 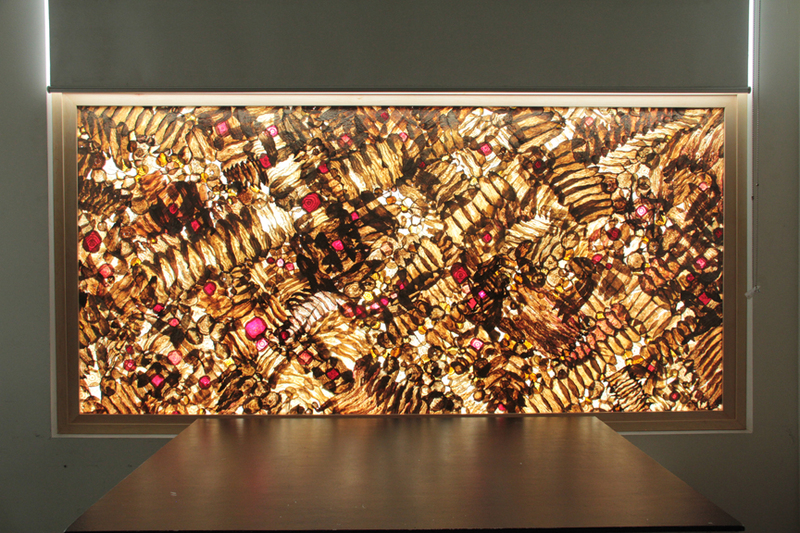 Unearthed is a temporary site specific installation of two 44" x 90" panels of thin slices of dried beets. 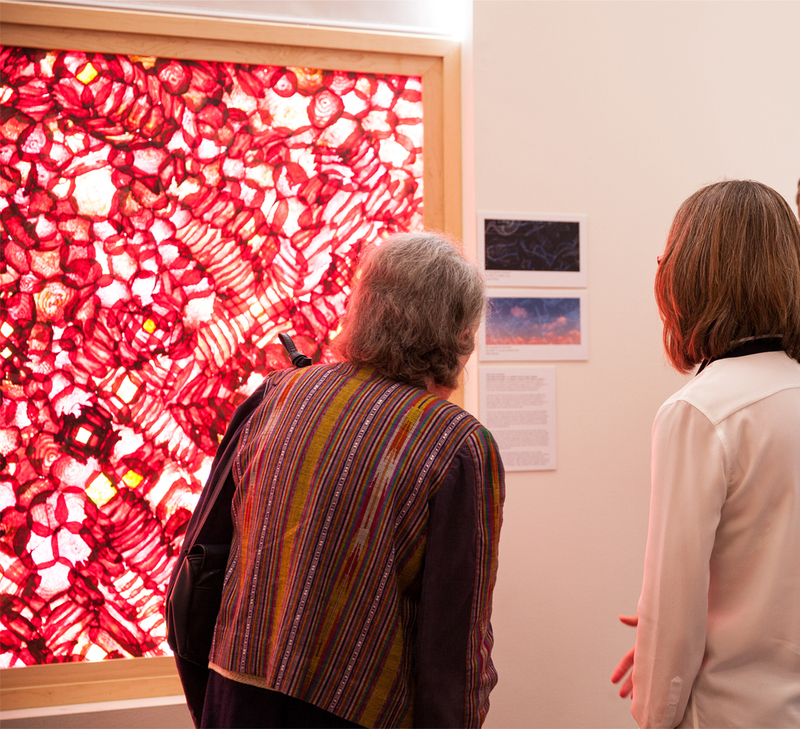 The compositions are based on astronomical information specific to the winter constellation locations in San Jose provided by the Adler Planetarium in Chicago, IL. 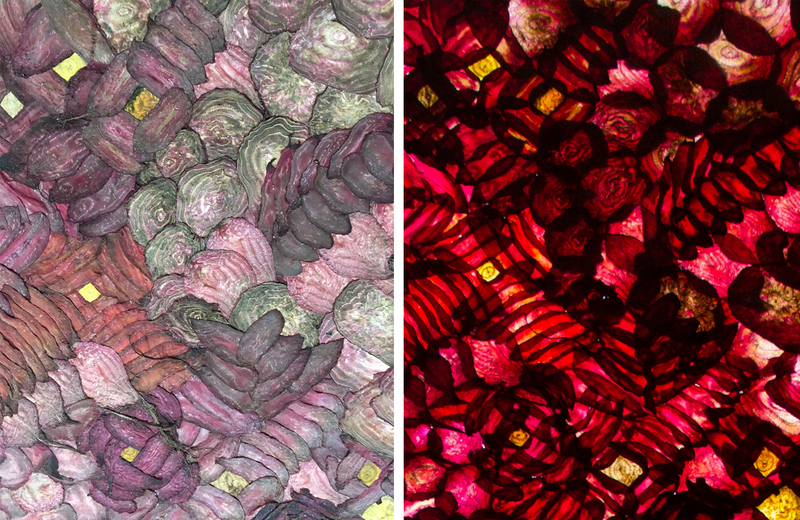 Many variety of beets provided by Preston Farm & Winery and University of Wisconsin, Madison Horticulture Department. 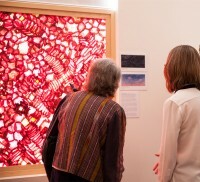 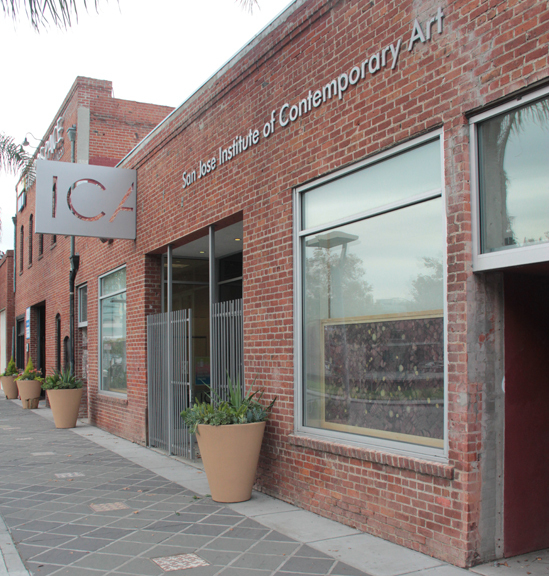 Unearthed was commissioned by the San Jose Institute for their Contemporary Art’s Window Project.